I just finished watching Homeward Bound with my girls, on Netflix. One myself and Ms Mod would enjoy. AshleyMiranda wrote: I just finished watching Homeward Bound with my girls, on Netflix. Hi Ashley. Missed your post due to one of them holiday thingies. 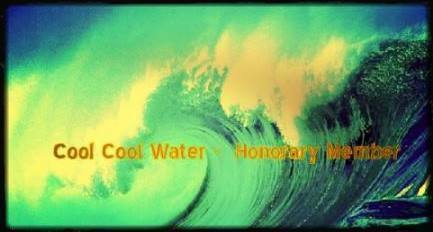 Cool Cool Water wrote: One myself and Ms Mod would enjoy. Just so you know, they`re all close personal friends of mine. Love the Viking Draugar (had to look up that spelling, lmao), the Viking walking dead! My brother recently did one of those DNA tests that determines a person`s background. Some of it was determined to be Scandinavian, so there`s a good possibility I`ve got Viking DNA. Is that too cool or what?! I always keep telling people I`m a Barbarian and prefer my food, especially meat and fish, cooked, haha. CherokeeRose wrote: Just so you know, they`re all close personal friends of mine. Love the Viking Draugar (had to look up that spelling, lmao), the Viking walking dead! My brother recently did one of those DNA tests that determines a person`s background. Some of it was determined to be Scandinavian, so there`s a good possibility I`ve got Viking DNA. Is that too cool or what?! I always keep telling people I`m a Barbarian and prefer my food, especially meat and fish, cooked, haha. I knew I saw that logo somewhere before, Mr.K, at 14:04 onwards! Cool Cool Water wrote: I knew I saw that logo somewhere before, Mr.K, at 14:04 onwards! Ha! The internet is smaller than I thought. Amazing story about Ronnie Lanes life after The Small Faces, I have to say, well worth a watch! a while back. I started reading the book a few days ago. Life is good. Bodiam Castle----that brings back some memories. And to complete the circle if you like, my son and his children were there last year! I've been watching this. it was prompted by an essay I was reading at PSF. This may **** with your head. It certainly ****ed with mine. Mr. K wrote: Bodiam Castle----that brings back some memories. And to complete the circle if you like, my son and his children were there last year! I bet they had a great time! Bodiam Castle is about 3 hours away from where I live and it's on my "to do" list of sites to film for MR.